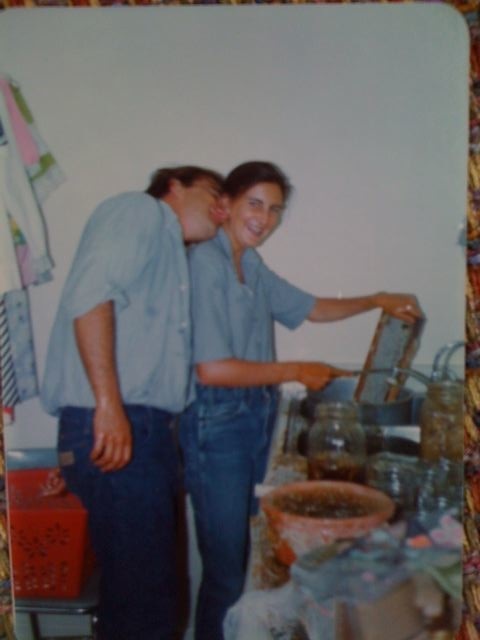 My first swarm of bees was delivered by my sweetheart in the spring of 1975. We put them in a hive and then jumped in the pond to get away from a few angry bees. Supposedly bees don’t sting when they are swarming and that’s why you see photos of people wearing bee beards, but these bees hadn’t gotten the memo. The first year we extracted the honey by squeezing it with our bare hands and letting it run through cheese cloth to get out all the pieces. This was all done in my mother’s laundry room and the place was sticky for months. 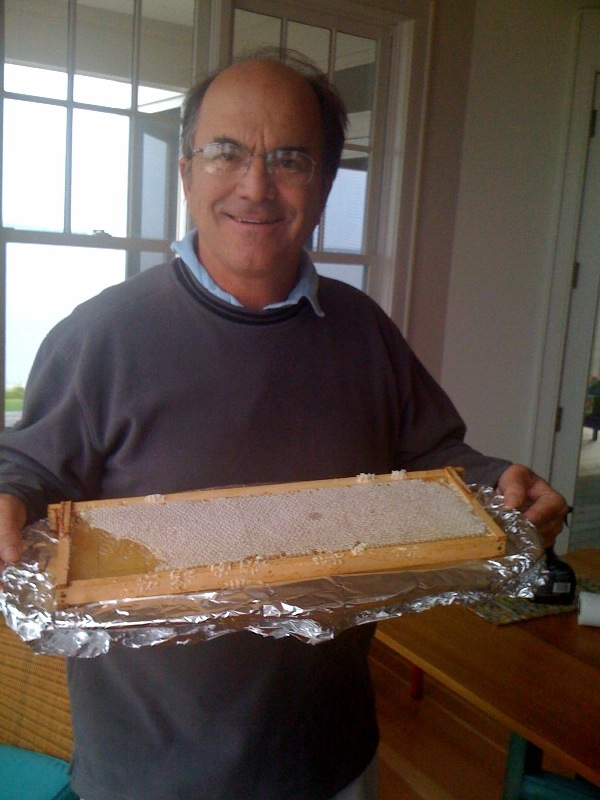 Today the same sweetheart brought me a frame of fresh honey from my father-in-law’s hive in Maine. It tastes just as sweet as the first batch and is just as sticky in my kitchen! In June the honey comes from the first spring blooms and is often clear white like the frame in this photo. Clover and roses are a two contributors but it depends where you live as to what’s in the honey. yay! My mom’s first blog post. Hooray for sweet sweethearts! Thanks for passing it down Mama H! harriet and mackitay! i love the blog. what a lovely post about you and jake. makes me smile!